Create a design that follows your personality and preferences. This case is designed to allow users the freedom to configure everything from components to lighthing however they want. 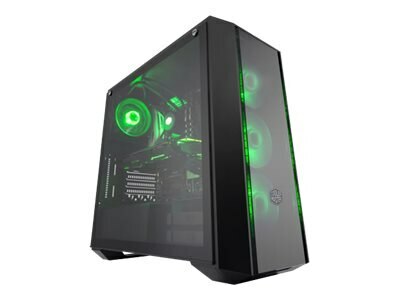 Show off your perfect build and powerful components through edge to edge, tempered glass side panel! Challenge the confines of the MasterBox Pro 5 by creating intuitive and flexible layouts for components and cables, large or small. Then comes the easy part: building.